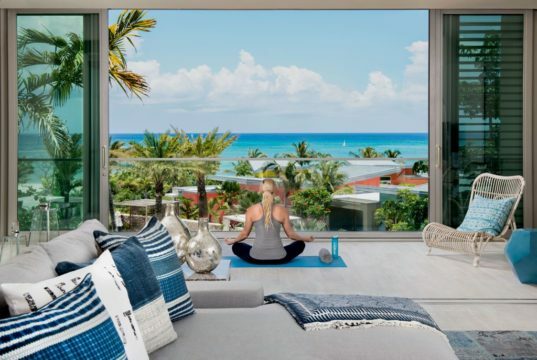 The environment is priority one at the new Residences at Seafire on Seven Mile Beach in Grand Cayman. 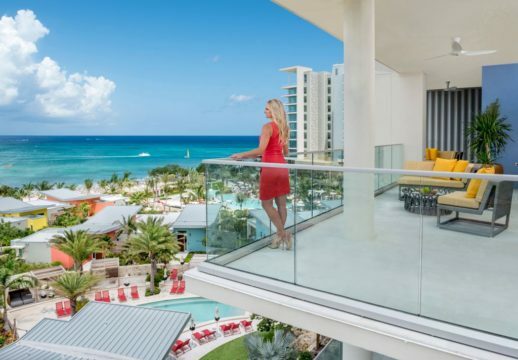 Dart Real Estate’s latest development, next to the Kimpton Seafire Resort + Spa, is Grand Cayman’s first large-scale residential property to earn LEED Silver Certification. 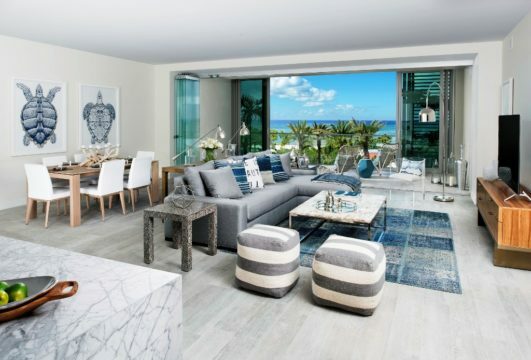 The Residences at Seafire integrate sustainable features throughout this 10-story oceanfront property. Residents luxuriate in the benefits of geothermal air conditioning, LED lighting, and solar energy. All outdoor lighting is turtle-friendly on this active nesting site showcasing 500-feet of oceanfront . The Residences at Seafire place a premium on indoor-outdoor living. Select residences ranging from $1 million-to-$8 million feature Nana Walls with a pivoting floor-to-ceiling glass door system for delivering breathtaking views. 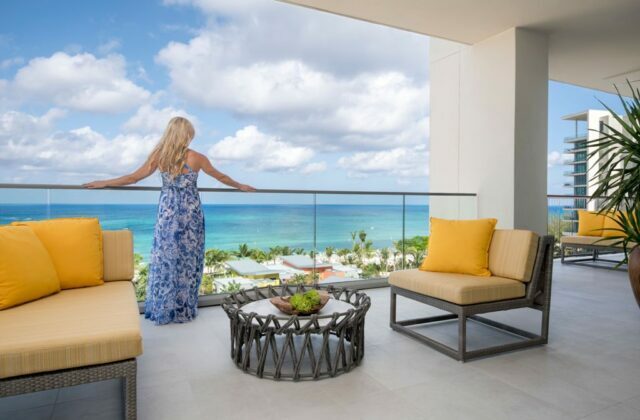 The Residences at Seafire is home to The Nest, an owner’s private rooftop lounge that is Grand Cayman’s highest man-made elevation. In addition to partaking in The Nest’s epic sunsets, owners at The Residences enjoy unlimited access to the restaurants, beach cabanas, and 8,500-square foot spa at the neighboring Kimpton Seafire Resort.